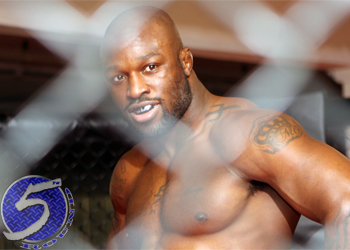 Muhammed “King Mo” Lawal (Pictured) makes his heavily-hyped Bellator Fighting Championships debut Thursday night in Oklahoma. Lawal, who’s fresh off serving a nine-month steroid suspension, faces Przemyslaw Mysiala in Bellator’s Light Heavyweight Tournament quarterfinals in the card’s co-featured contest. “Bellator 86” takes place inside side WinStar World Casino in Thackerville.